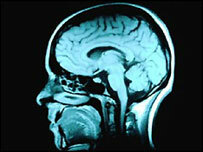 A fundraising campaign to buy a new hospital head scanner is being launched in Cornwall. The Royal Cornwall Hospital at Treliske already has two CT scanners which are used about 15,000 times a year. The Stroke Association said immediate access to a head scan was vital in helping to diagnose and treat stroke victims more quickly. The League of Friends hopes to raise £60,000 for a dedicated head scanner, which will help reduce waiting lists. When a £2m scanning suite was opened last year, the hospital said waiting times fell dramatically from 18 months to about four weeks. CT scanners (computerised tomography) use X-rays to look closely inside the soft tissue of the human body.